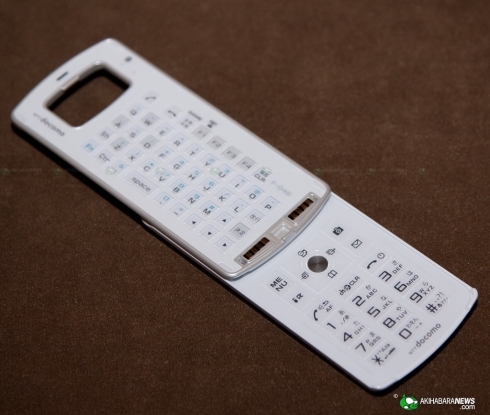 Who would have thought that a concept phone showcased at CEATEC 2008 would become a real device in 2009 and get some hands on quality time over at Akihabara News? We’re talking about the Fujitsu F-04B handset, that packs a projector, a dual keyboard and a touchscreen display. 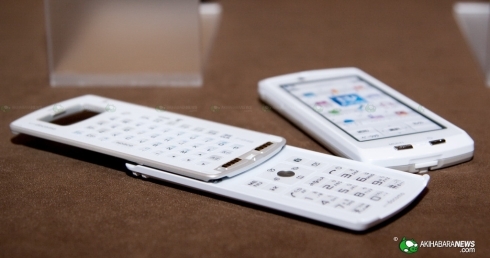 Also dubbed Separate Keitai F-04B, this device is a splittable phone, that can be separated into two segments: the display unit and the keyboard unit connected via Bluetooth, each sporting a Lithium Ion battery. 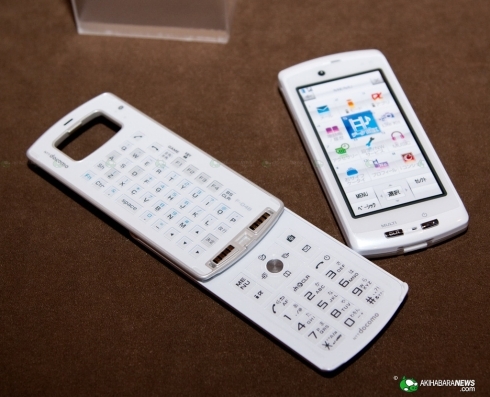 1Seg TV is also on the specs list, together with a QWERTY keyboard, a 3.4 inch LCD touch display and an optional projector unit. Said projector comes with a brightness of 6 lumens, 2 hours of lifespan (800 mAh battery), a DLP Pico chipset provided by TI and a resolution of 854 x 480 pixels. Believe it or not, there’s also a 12.2 megapixel camera on board as well and all in all, the device is bulky and not quite responsive, but it’s good to see a concept phone coming to life finally.